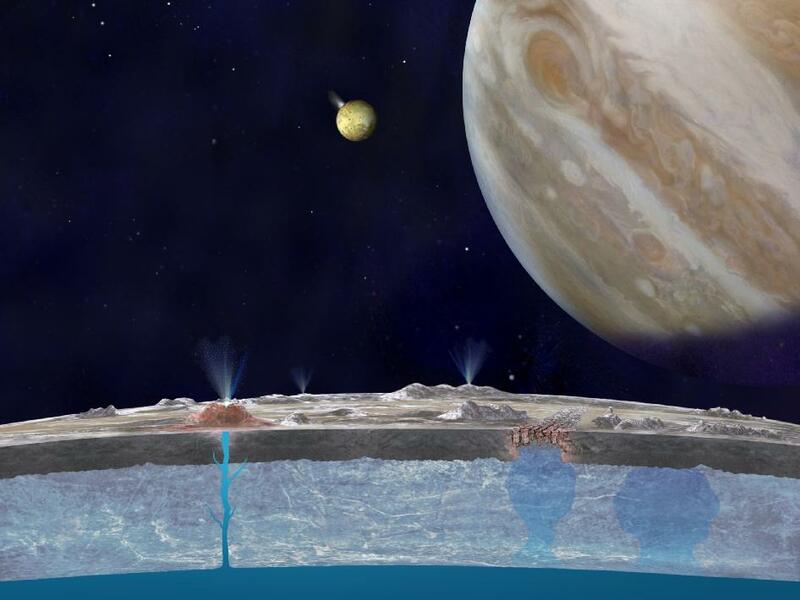 Artist’s illustration of how water from Europa’s underground ocean can reach the surface. As one of the few places in the solar system other than Earth known to have an ocean, Europa has become one of the most fascinating worlds that we know of. This moon of Jupiter is small, but enticing – beneath its frozen surface of ice is a global ocean of water, making it a primary focus of study, especially in terms of the search for life elsewhere. Jupiter’s moon Europa, an ice-covered waterworld. 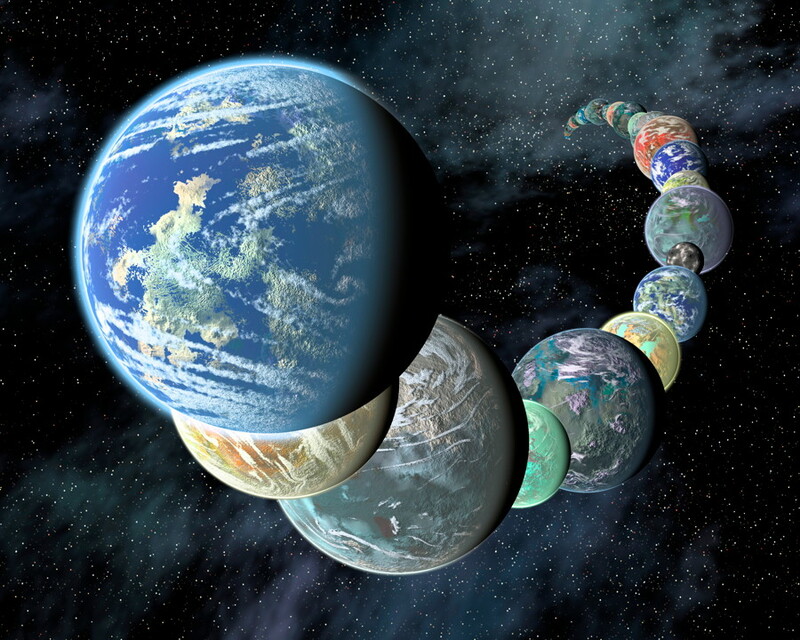 Could life exist there? Credit: NASA / JPL / Ted Stryk. Jupiter’s moon Europa is often referred to as a “waterworld,” and for good reason: a global ocean almost definitely exists below its outer icy crust, making it a primary focus of interest in the search for life elsewhere in the solar system. So far, most of the information we have about this fascinating moon has come from flybys of the Galileo and Voyager spacecraft; these missions have been invaluable, of course, although limited. If we want to learn more about what is going on below in the Europan ocean, it will require new spacecraft with the necessary instruments to carry out long-term studies. Budgets are tight for an orbiter or lander, but a newly proposed “clipper” mission may just fit the bill. Microbial life found thriving under Antarctic lake ice: an analogue for Europa? A new discovery here on Earth may have implications for the search for life elsewhere, in particular icy waterworlds like Jupiter’s moon Europa. Read MoreMicrobial life found thriving under Antarctic lake ice: an analogue for Europa? It is thought that one or more of the icy moons of the outer solar system could support life. Until relatively recently, it was thought that the best, or perhaps only, place to look for life elsewhere in the solar system was Mars. The other inner planets were much too hot while the outer gas and ice giants were far too cold – the chances of any kind of life being found, even microbes, was considered extremely unlikely at best. Read MoreIs there life on Europa?